The University is generously covering the costs of attendance, including tuition fee and transport from Plymouth to Babson College, for two of our enterprise students. 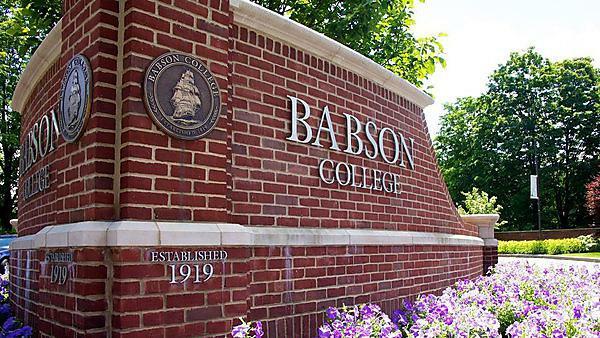 Babson College was founded in 1919 by Roger Babson, the famed financier and entrepreneur. Using the same Entrepreneurial Thought and Action approach adopted at The Futures Entrepreneur Centre, Babson College has become the world’s foremost entrepreneurship educator measured by start-up creation. The Futures Centre is proud to be a member of the Babson Collaborative network and is pleased to extend this development opportunity for design thinking, market testing and negotiation to our students. Babson Build is an experiential programme designed to help your undergraduate and graduate students think and act entrepreneurially via Babson’s one-of-a-kind Entrepreneurial Thought & Action® (ET&A™) methodology. Held at the No. 1 institution in the world for entrepreneurship, the experience allows students to build a global network of future entrepreneurial leaders and an entrepreneurial mindset that will enable them to overcome challenges in any organisation. 500 words maximum outlining why you would like to go, how it might help you on your entrepreneurial journey, and what you believe you can contribute to the programme. The deadline for submissions is Tuesday 12 June 2018, 4pm. A stipulation for attendance is that you complete a video diary which we can then use for educational and promotional purposes at the University. Please note, priority will be given to those who have not already attended. If you have any queries please get in touch with Marta. We do hope many of you will consider applying, this is a fantastic programme and would cost you upwards of £3,000 were you to cover the costs yourself. Calling all those with an entrepreneurial spirit! If you would like to travel abroad, work for one of the biggest healthy snack companies in the EU and be part of an international team and gain valuable business-related experience, we invite you to tap into your creative genius and enter EDEM’s International Business Challenge competition. EDEM or Escuela de Empresarios is one of The Futures Entrepreneurship Centre’s partners, located in beautiful Valencia, on the east coast of Spain. EDEM is a private non-profit foundation. Their mission is to train business leaders, executives and entrepreneurs and to promote leadership, entrepreneurial spirit and the culture of endeavour. EDEM is offering the opportunity for two PBS students to work alongside fellow team members, on a brief created by Snatt’s, a Barcelona based company, producing an array of wholesome products. If selected for this unique experience, students are expected to be free from 8-14 July. On 8 July they will fly to Valencia and take a short underground transfer to the city centre, where they will locate their accommodation at Residence Hall: Carrer del Serpis, 27, 46022 Valencia. Following a company visit on 9 July, students will work in teams competitively to respond to a brief. The winning performers will be rewarded with iPads. Whilst students will be encouraged to stretch their minds and think imaginatively, collectively and strategically, they will also enjoy a relaxing guided tour of the city and an afternoon of sailing. This exciting blend of professional experience and cultural opportunity will be almost entirely funded by The Futures Entrepreneurship Centre/PBS and EDEM. Accommodation, flights, transfers, activities and two meals per day (breakfast /evening) are all included in the package. Students will only pay for lunch and additional entertainment. The deadline for submissions is Monday 11 June 2018, 12pm.